The Adams Arms Gas Piston System is an end user-installed, after-market product for Mil-Spec ARs. It will fit on any AR barrel with a .750" or 3/4" diameter at the shoulder where the front sight base sits. The carbine version will work on barrel lengths of 10.5" to 16" that have an existing carbine gas system. 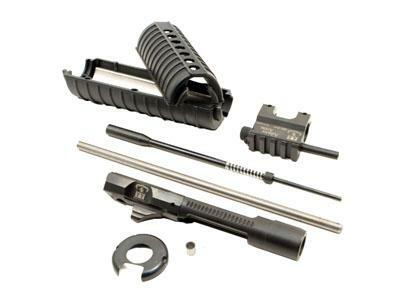 The mid-length version will fit barrel lengths of 16" to 18" that have an existing mid-length gas system. The rifle version will work on barrel lengths of 18" to 24" that have an existing rifle gas system. Size Rifle length 18" to 24"